Have you ever heard the song, “We have all the time in the world?” It was sung by Louis Armstrong in the 1969 James Bond movie, On Her Majesty’s Secret Service. No offense to Louis Armstrong, but I strongly disagree.  The truth is, none of us really knows how much time we have; so why do we live our lives putting important things on the back burner? I’ve come to realize that now is the time to (fill in the blank) work on my fitness goals, call that person that’s been on my mind, tell someone how much they mean to me…because waiting for when I have “all the time in the world” is just …well, a sure way to a whole lot more waiting. Maybe you can relate; I work full time, have a husband that needs my attention, kids that still need me, a house that needs cleaning and groceries that need getting. At the same time, I’m an athlete that must train all year long if I want to stay fit – and stay balanced. Slicing up my time into even slivers so that everyone has their fair share of me can get tricky. I don’t want to choose between spending a leisure morning making pancakes and hanging with my family or heading out for a long run or bike ride; unfortunately, that’s exactly what happens most weekends. So when someone says I’m crazy for waking up at 4:30 am to get my workouts in so my afternoons are a little less hectic, I just smile and shrug, because that’s what I have to do. I’m crazy about the people I love and I want to spend as much time with them as possible. But, I love to race and compete. So I continue to work hard, register for marathons and triathlons and train 6 days a week. It’s not always easy finding time for all of my passions; sometimes I fail miserably. 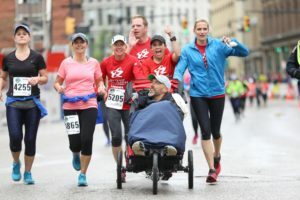 But there are times – like this year’s Fifth Third River Bank Run 25K – when I follow my heart and I get it right! This year, at the very last minute, I decided to be an Angel with my friends Alyssa and Sue as part of a my Team Triumph (mTT) (https://www.mttwestmichigan.org/), an athletic ride-along program created for children, teens, adults and veterans with disabilities who would normally not be able to experience endurance events such as triathlons or road races. In this program, the Angels of the team are the runners while the Captain are the challenged athletes who are assisted by their Angels. I started running with Alyssa and Sue in 2010 when I was training for my first road race, the 2010 Fifth Third River Bank Run. Running with these two was easy; we lived close to each other and we were able to get in our run before our kids were awake. Our friendship has provided many miles of free therapy over the years! I met Alyssa’s cousin, Scott Bylsma, a couple of years ago at a River Bank Run. He was pushing someone through mTT and so was I. Early last year, Alyssa told us that Scott had been diagnosed with ALS (Lou Gehrig’s disease). 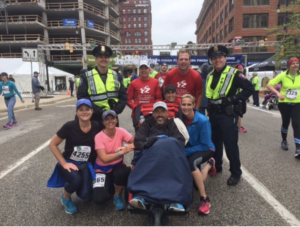 As a military veteran and decorated Grand Rapids Police Officer, Scott liked to be active and was an avid runner before his diagnosis. He ran as a mTT Angel two times and rode as a Captain this year. Several times over the 15.5 mile course, Scott pointed out how different it felt to be a Captain versus an Angel. When you’ve spent so much of your life serving others, accepting assistance can feel uncomfortable. But that didn’t stop Scott from enjoying the day. His wife Sharon was running the 25K as well. Please look at this next photo very carefully. Look at Scott’s face, his eyes. That is NOT a look of someone that is taking it for granted that his wife is finishing this race by his side. He is IN the moment. Fully in the moment, taking it in and appreciating it. He was grateful and living this moment to its fullest. How many times have I been asked at the end of the day what I did, only to realize it is a blur and I can’t actually account for all that I did even though I know I was busy? There are days when I’m not present; I’m just going through the motions. Recently my daughter has been sharing with me some of the mindfulness skills she’s been practicing. Part of that practice is being grateful, and just being in the moment. I can’t tell you how often I go out for my long workout, put my head down, and crank out the miles. I can easily come back from a 50-mile bike ride and not really remember what I saw. You might say I was just very focused on my training – or I just checked out so I can check that box in my workout. I’ve been challenged to put “being present” into practice in my sport. My motivation as I run, bike or swim, will be focusing on being grateful for what my body CAN do and not what it can’t. I’ve also been working on being more flexible. As a type A personality, I follow my training plan religiously. Skipping a workout to enjoy time with family and friends is not always easy. Even mixing up my workout times is difficult. Training should be about embracing the development of my skills as an athlete. Becoming more flexible will hopefully take away the box-checking mentality and help me be more balanced. This really captures who I am. Living “each day to the fullest” doesn’t necessarily mean filling your day and going non-stop 24/7. For me, I need to be more present and grateful for the love in my life – whether that is family, friends, or my love of training. Be in the moment. Be with the people we’re with. Notice them. Really look at them. 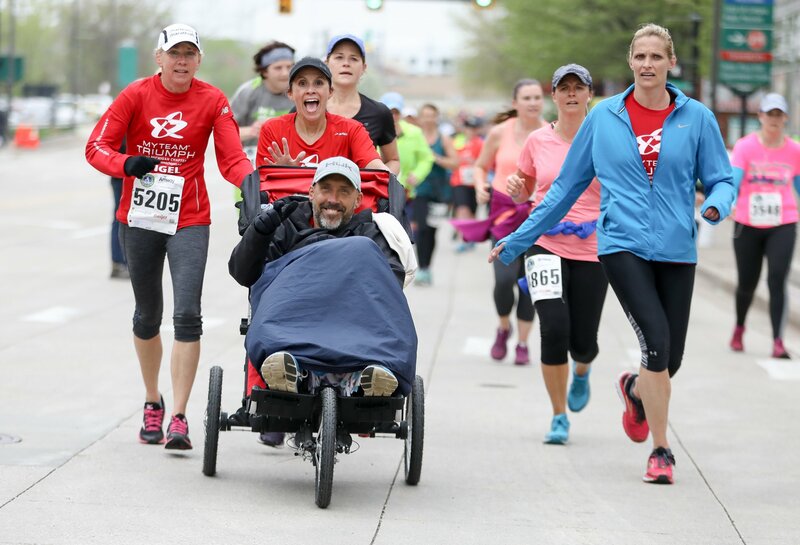 Like Scott is looking at Sharon: with complete admiration and love for his wife who ran by his side at this year’s River Bank Run. Make time for the loves of your life. As our training schedules get longer and mileage ramps up, make a commitment to stay balanced with your life. And we can be thankful that our legs are carrying our bodies, that our arms move us in the water and that our hearts drive us to succeed. Really appreciating what our bodies can do instead of focusing on where they may fail. We have not been promised tomorrow, but we do have right now.